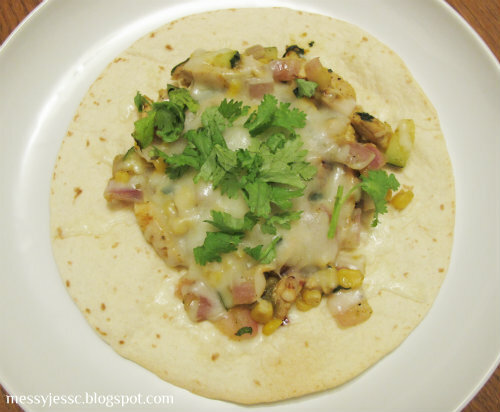 Once I mastered a few tough recipes, I figured that was good enough and set off to find a way to make easy recipes even easier, like this recipe for Chicken and Summer Vegetable Tostadas. The original recipe calls for fresh corn and chicken tenders. I read it as canned corn and Perdue shortcuts and set off to make one of the easiest and tasty week night dinners to date. For this recipe, the prep work, i.e., cutting up the zucchini, onion, and cilantro, took longer than actually putting the dish together. Don't believe me? See for yourself. First, preheat your broiler. That took about a second right? 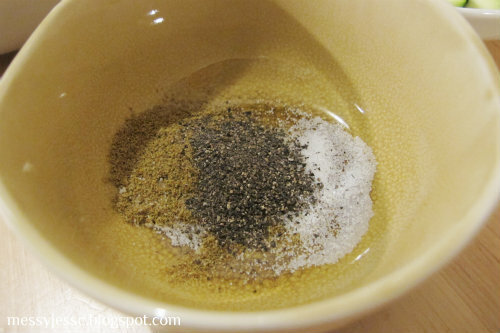 Then combine the cumin, salt, and black paper and mix it together well. That took maybe 30 seconds, right? 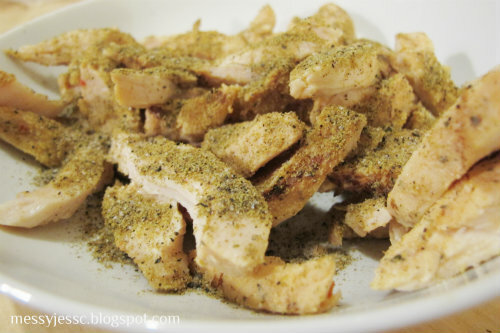 Once your spices are mixed, sprinkle them evenly over the chicken (15-30 seconds of your time). 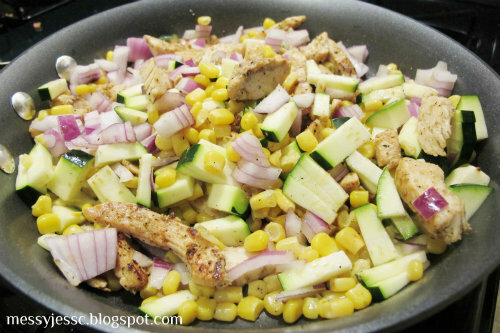 Next heat your oil in a large nonstick skillet over medium-high heat and add the chicken to the pan. 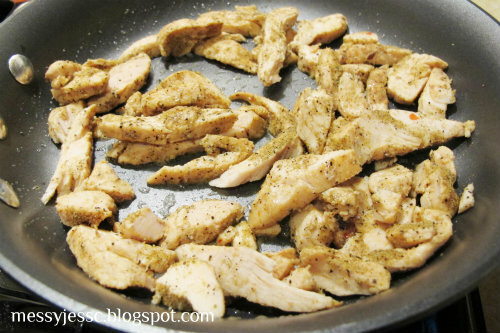 Saute for 2-3 minutes until the chicken is warm. 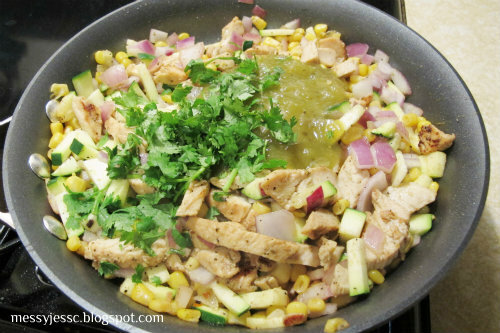 Saute for about 2 minutes and then stir in your salsa and 2 tablespoons of cilantro. Cook for another 2 minutes until the liquid almost evaporates, stirring frequently. Working with 2 tortillas at a time, arrange tortillas in a single layer on a baking sheet; lightly coat tortillas with cooking spray. Broil 3 minutes or until lightly browned. 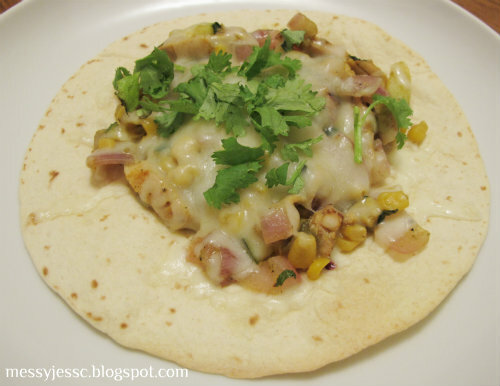 Spoon about 3/4 cup chicken mixture in the center of each tortilla; sprinkle each serving with 1/4 cup cheese. Broil an additional 2 minutes or until cheese melts. 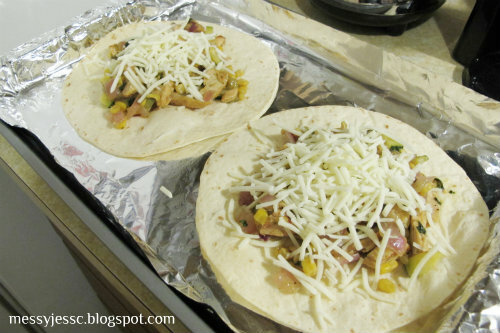 Repeat procedure with remaining tortillas, chicken mixture, and cheese. 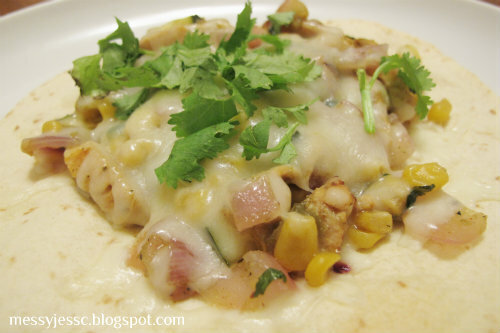 Sprinkle each serving with about 3/4 teaspoon of remaining cilantro. Serve immediately, as not to waste any more time than the 13 minutes and 6 seconds you already have, and so you can enjoy instantly. 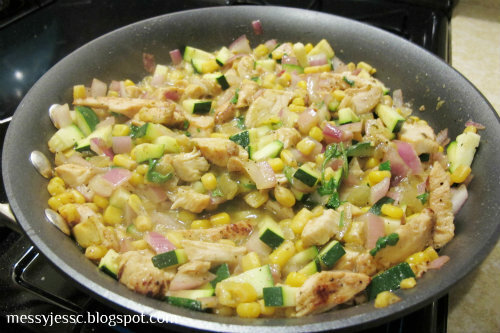 Check out the recipe for Chicken and Summer Vegetable Tostadas and other tasty treats on my What's Cookin' page.